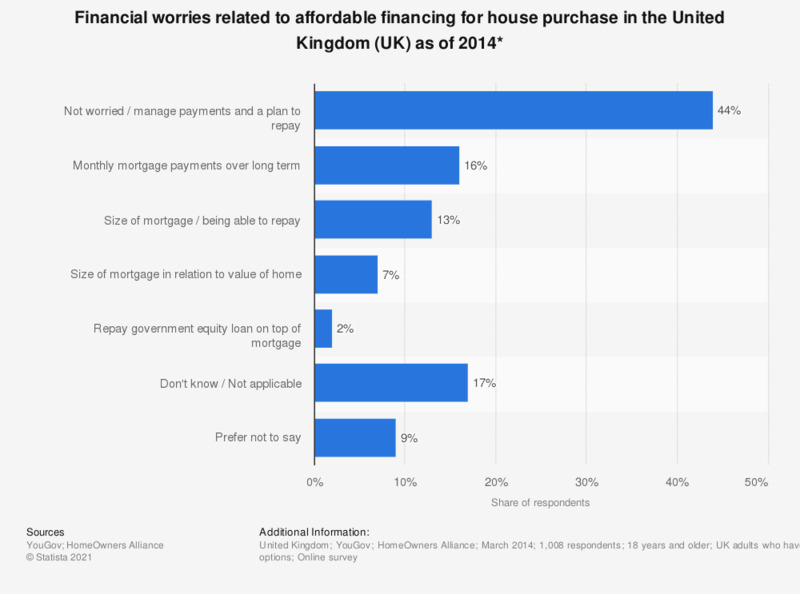 The statistic shows the the extent of worries of adult homeowners, resulting from using the affordable financing methods in the United Kingdom (UK) as of March 2015. It was found that 44 percent of homeowners were not concerned about managing their repayments. Further 16 percent worried about the monthly mortgage repayments over the long-term future. * Affordable finance options include interest-only mortgage, low mortgage rates, mortgageterm over 25 years, loans from family/ friends, low deposit to mortgage value, government and shared ownership.